Showing 1 - 7 of 7 articles tagged "Lucy Liu"
The Elementary star is producing Unsung Heroes for ABC Studios International. 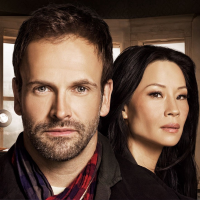 The upcoming Season 7 of the Jonny Lee Miller-Lucy Liu procedural, which wrapped production last Friday, will be the last. The Elementary star's new look may be for her new play, Stage Mom.